NATO forces have confirmed an air strike took out the motorcade of Lybian Dictator Muammar Gaddafi and the transitional Lybian government has announce that Gaddafi is dead. 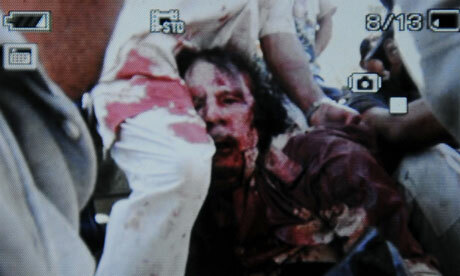 After a four decade reign of terror both toward the Lybian people and throughout the world Gaddafi has met his demise. Gaddafi was considered the most wanted man alive in the eighties due to terrorist activities performed at his bidding most notably the bombing of Pan Am flight 103 over Lockerbie, Scotland. President Reagan ordered an air strike against Gaddafi in 1986 for his responsibility in the bombing of a night club in West Berlin which killed 229 people. Gaddafi has been on the run for several months as rebel forces have defeating his forces in Libya. Gaddafi leaves behind a reign of terror that has cost the lives of hundreds of thousands. 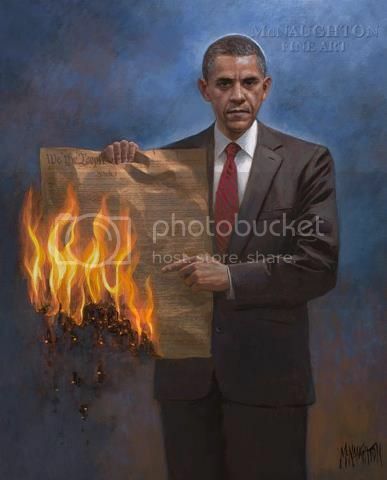 Like other dictators who have been eliminated before him Gaddafis demise is a great day for his country and the world. Leftists loved Gaddafi for decades until it became convenient to hate him for the cause.